I know that is no surprise to any who know me. I love the fun patterns and bright colors. They make me happy. On Sunday I will be creating some creations with new products and can't wait to share them with you. Watch my post tomorrow for a link to the a idea Book. You can peruse at your leisure. If you want a hard copy, just contact me. It can be yours for free! 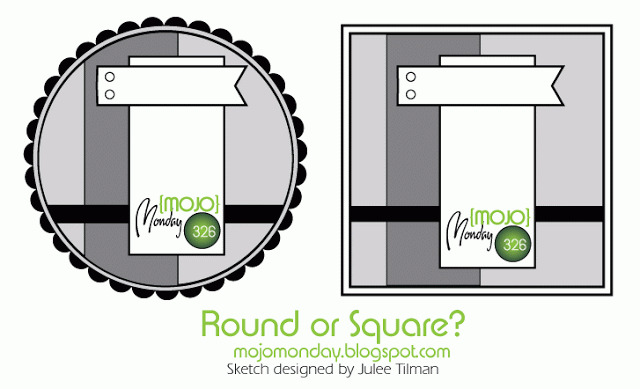 Have you ever wanted to turn a flat Cricut shape into a 3-D element but did not know how? Would you have guessed it was difficult? I would have but it is not! Watch this video to learn how to made an adorable banner of your choice - she teaches how to make a CUTE Valentine banner, perfect for this time of the year. 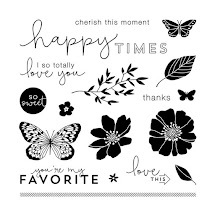 You can use these dimensional pieces for your scrapbook pages or any other decor item. Have fun giving this technique a try! It's as easy as 1-2-3-D! 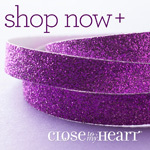 A Sneak Peek of NEW product - coming February 1st! One of the fabulous benefits of being a Close To My Heart Consultant is having access to new product before the general public! We get to view and purchase the items a month earlier than they go live so we can begin preparing samples and workshop ideas. The Spring/Summer Idea Book, to be released on February 1st, contains quite a few new products that I know you are going to love. This is a photo of the Consultant Kit that contains a variety of items and can be yours for just $99 if you would like to join my team and the company! 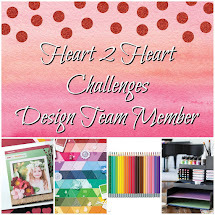 It contains approximately $309 in products and supplies to get your business off to a rockin' start! If you look close enough you can see quite a few new products, including the Skylark paper packet. I have new products in my hand but have been spending time creating artwork for my Team Retreat that will be held in less than a month (ACK!) in Gainesville, TX. Those creations are under wraps right now as they are saved as a surprise for those attendees. But don't worry...I'll find some time over the next week to create some artwork using new product that I can share with you. If you are interested in finding out more about becoming a Consultant click here and feel free to contact me with any questions. I can't wait to share our new products with you! Keep watching for more to come! Today I had a training in Las Cruces (NM) at the New Mexico Farm & Ranch Heritage Museum. As we were walking back into the building from lunch, we saw these! Can you see them?! 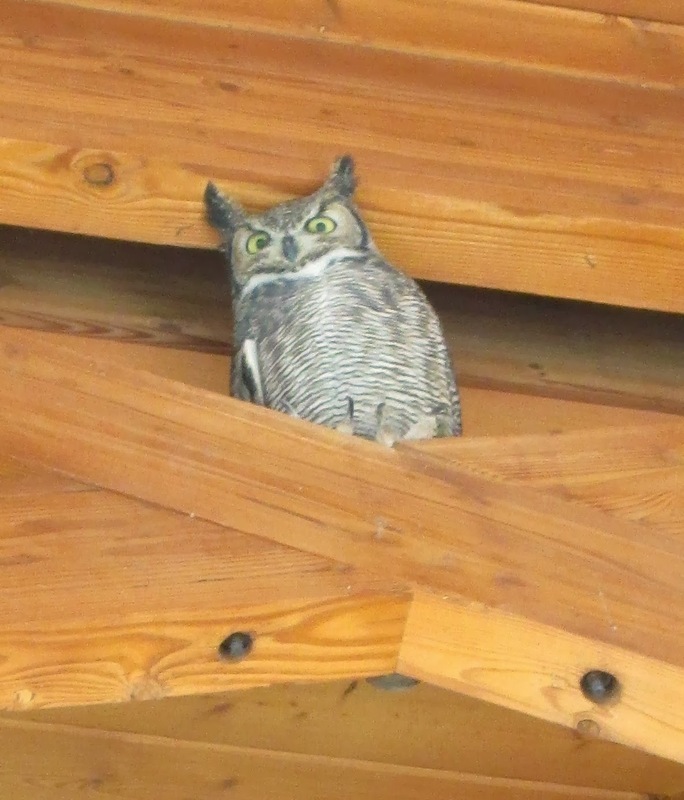 They are two, HUGE, Great Horned Owls! You know I was totally excited when I saw them and had to whip out my camera (which I always carry, of course). They were just chillin' up there. At first I thought they were "fake" until...the one on the right moved his head and blinked his eyes. It was totally awesome! I have never seen a wild owl, just some in a zoo. I could not wait to get home and blog about them and my photos. Here is a good close-up. Pretty cool, huh? I've made some cards using our beautiful Sarita paper packet but decided to get out the Stickease and make a layout! 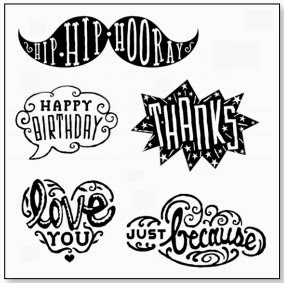 I love the sayings on these Stickease and will be using the rest of the images either on more layouts or on some cards. I will be sure to share when I do! I already know what pictures I want to put on these layouts but I have to get them developed first. Guess that's on my list for this week. I will share a picture of the completed layout, hopefully to come real soon. 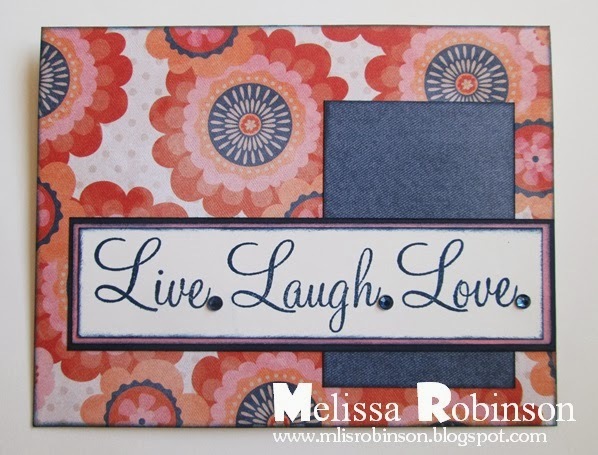 This layout came from the Make It From Your Heart, Volume 2 How-To Book. I promise great layouts if you use them! You cannot go wrong and the price is absolutely perfect at just $7.95! You can find photos of the Sarita product line by clicking here. I hope you are enjoying this three-day weekend and using it to do what you love most. I am watching football, working on some not-so-fun tasks right now (for work), but intend on scrappin' the rest of this long weekend away! Be blessed! The release of the NEW Spring/Summer Idea Book is just around the corner! All of the new products go live on February 1st and I promise you will not be disappointed! I welcomed my first two boxes of new products yesterday and will be tapping into them this weekend! WOOHOO! It is time to create! Here is a sneak peek at the cover. 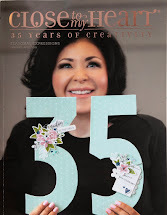 If you would like to be one of the first people I mail this catalog to, simply place at least a $35 order on this three-day, holiday weekend (in honor of National Papercrafting Month, of course) on my website (CLICK ON THE PAPERCRAFTING MONTH PROMO LINK). Once you do, I will make sure a catalog is mailed out to you on Tuesday, January 21st! If you would like to know what other options you have to get one of these beauties in your hand, please email me. It is not nearly as fun having to view it online. Don't forget we have an awesome promotion going on this month. Click HERE to be taken to the blog post that contains more details about "Cloud Nine". Can you believe we are already halfway through the month of January in the year 2014?!?! It is absolutely crazy how fast time passes these days! I wonder if I was an adult 40 years ago if I would think the same...or that it's going even faster?! This card seems pretty suitable for reminding us to keep the simple things in mind as our daily responsibilities seem to consume us (or me). I can sooooo say that I am looking forward to, and in much need of, a THREE DAY WEEKEND! Bring it on, baby! 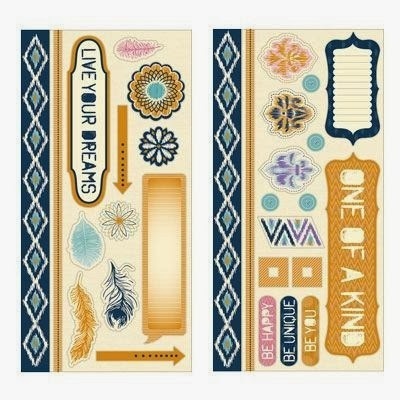 This stamp set is one of those tried and true stamp sets that I absolutely love. Be blessed and always remember to Live.Laugh.Love. So I must admit... I was one of those people, when Washi Tape was first released through Close To My Heart, who thought, "What is the big deal about Washi Tape?" I truly did not get it. I have since seen some beautiful artwork using it and love the techniques showcased in this short video. 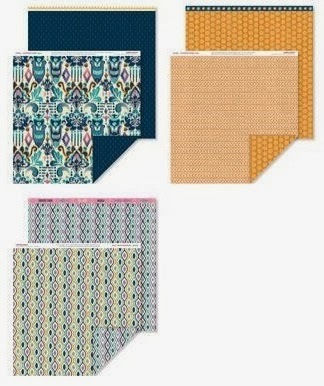 Click here to view the washi tapes we currently carry. I will tell you...there are more to come on February 1st! I had fun putting together this card using a sketch that came from Freshly Made Sketches. It made me step outside of my box, making a card that is simple, had some flappin' banners and STITCHING! I have loved the look of cards and layouts that had stitching on them but have stayed away from the technique...until now! I hope the first full week of the new year is off to a phenomenal start! 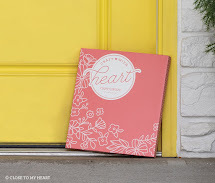 Close To My Heart is teaming up with Big Picture Classes again to bring you a live webcast with step-by-step instructions for making this Valentine’s Day scrapbook page. It’s the perfect way to showcase your precious photos of that special someone. The free webcast will air Thursday, January 30 at 7:00 pm (MST). The Pajama Party will be available for FREE at BigPictureClasses.com on January 30, and will be archived after the event for future viewing. If you would like to interact on the message board, participate in live chat, post to the gallery, download handouts, or enter any contests, you will need to log in to the Pajama Party “classroom” by creating a free account on the Big Picture Class website. Contact me if you have any questions about registering for this free webcast or if you would like to purchase any or all of the above items. 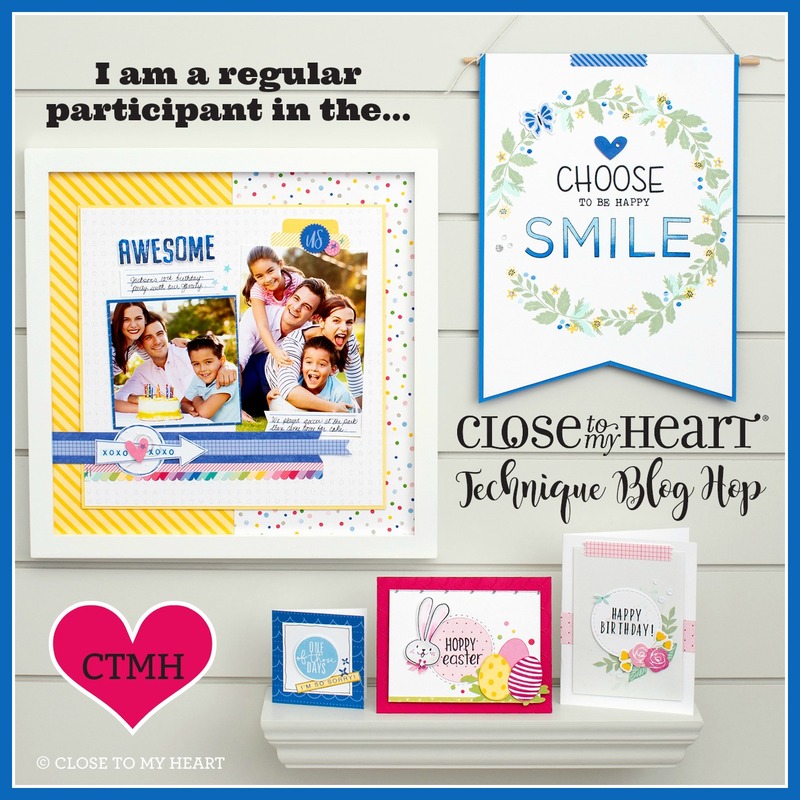 Join me for the first worldwide, CTMH crop of the year! I would love to "see" you there! I realize much of the country is experiencing some frigid temperatures, with more to come over the next few days, but that is not me. One of the things I appreciate about Southwest New Mexico is the timid temperatures throughout each of the four seasons. It was a high of 65 degrees today and absolutely beautiful outside. I know...some of you are jealous, right? 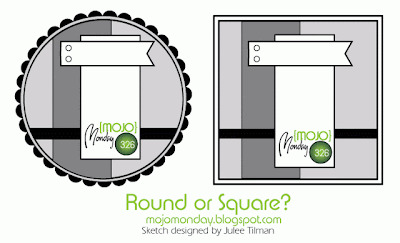 Using this Mojo Monday sketch, I created what I believe to be an ADORABLE circle card. I was pretty pleased with the results and have not made a circle card in quite some time. 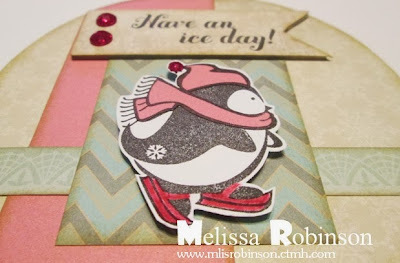 I used the Frosted paper packet (from Close To My Heart), to include the zip strip (from the top of the sheets of paper) to create the horizontal accent, and incorporated some Blush Cardstock. Three Pink Glitter Gems, some 3-D Foam Tape (love this stuff), and a Banners Dimensional Element later and here is what we have! Regardless of the temperatures, this stamp set is absolutely adorable. 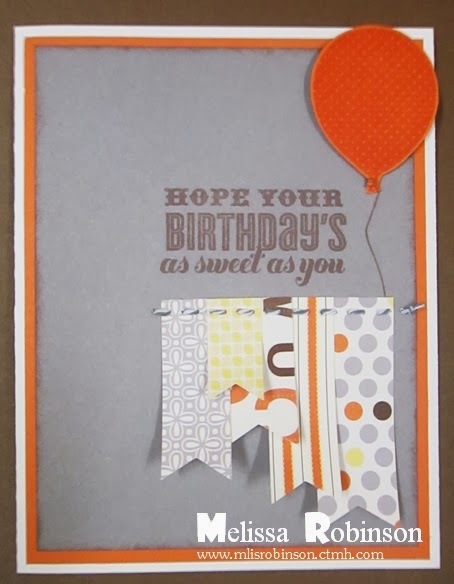 I have used it several times to create cards over the last couple of months. All but one of the images on this stamp set are good beyond the Christmas season. I love stamp sets with versatility. This is a corporate-created card, using several images from this stamp set and our exclusive Cricut Artbooking cartridge. Talk about CUTE! Enjoy the rest of your weekend and "have an ICE day"! 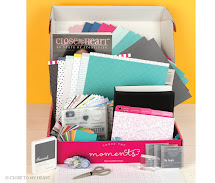 January is National Papercrafting Month! Did you know that? It is and...like I need a reason to papercraft to start off 2014! This exclusive cardmaking kit, Cloud Nine, is only available THIS MONTH in honor of the celebration! 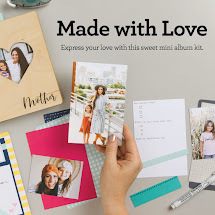 This cardmaking kit can be yours for just $15 with a qualifying purchase of $35. It, alone, has a retail value of $46! The kit is designed to make a minimum of 10 cards but there is plenty left over to create a layout with or...do whatever you want with the kit contents! Items noted with this symbol † represent NEW product in Spring/Summer 2014 Idea Book! WOOHOO! This is the stamp set included with the kit! Cute, right?! Your $35 purchase can be made up of any current product and you can get one kit for every $35 you order. Plus, don't forget that when you get to $50 in purchases, which can include the Cloud Nine Kit, you can get the January Stamp of the Month for just $5! A great compliment to this kit, in helping you reach your $35 purchase, is our Designed Decor Black Frame. It is fun for showcasing cards, photos, etc. and makes a great decor item for your home or office. If you have any questions on getting your hands on this kit, please contact me at your convenience. Enjoy a wonderful month of papercrafting! I am publicly sharing some of my S.M.A.R.T. goals that I am setting for 2014. We talk about S.M.A.R.T. goals a lot in the educational arena. If you aren't familiar with the acronym it stands for. I am all about accountability as I am not one to disappointment or let down others so when I know others are watching I tend to better fulfill my commitment (to myself and others). Lose at least 10 lbs. by March 31st by eating better (whole fruits, vegetables, etc.) and exercising at least 3 times a week for at least 30 minutes for each workout. Tone up my body by June 15th so that I can comfortably wear whatever I want (i.e. shorts, sun dresses, bathing suit) over the summer. Blog at least three times a week throughout 2014 and maintain effective and regular communication through my media sites (with friends, team members, and customers). Establish and maintain an organizational system/planner by January 15th that I will use effectively and then re-evaluate May 31st (to determine whether to continue as is or adjust for the remainder of the calendar year). Take at least 12 hours for me, each week, by consuming myself in the things I enjoy (papercrafting, blogging, chillin', spending time with family, reading, supporting my CTMH team, etc.) so I can be effective in my required tasks. I will evaluate this on a monthly basis, by tracking the hours I spend on me each week. This will continue throughout 2014. Please feel free to check up on me and my progress in achieving these goals. I know that by accomplishing each of these, even on a short-term basis, will make me feel better about myself and my purpose. These five goals really help me in getting other things in line. Here's to a fantastic, productive and BLESSED new year! I found myself, a couple of weeks ago, writing the year 2003 on something I was dating. I did not think twice about it until someone pointed it out to me. For a moment, I truly thought, "There is no way it is 2013." It was an odd, yet real moment for me when I came back to reality and realized it was 2013. To think today marks the first day of 2014... It seems like just a short time ago I was in high school, in college, getting married. Nope. All those events are long gone but I am thankful for the opportunity to make other notable milestones in my life. Many great things happened for me in 2013 including being given an opportunity to be a Principal. I have worked hard over the past years in order to achieve such a position and God granted me that opportunity last year. Who knew He would have placed me an elementary school but I have loved every minute of it. Talk about "out of the mouth of babes". There is truly never a dull moment. It has been a blessing, despite the many hours I have spent on the many tasks of the position. I am thankful for the support and positive feedback I have received from faculty and staff and other district employees. I am believing it will continue in 2014. 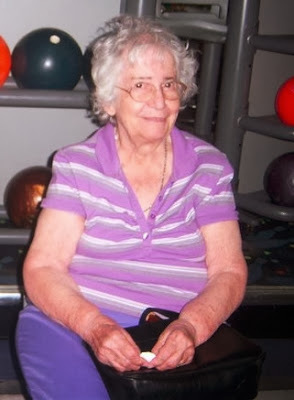 2013 also brought the loss of my Grandma Rita. I think about her often and while I am sad and miss her, I am truly thankful for the almost 40 years I had her in my life. She was definitely one-of-a-kind and holds a special place in my heart. Thanks for following me in 2013. I look forward to sharing 2014 with you and wish you all the best this new year! HAPPY NEW YEAR!